Many congressional Republicans—led by Speaker Paul Ryan (R-WI)—have been talking a good game when it comes to tackling poverty. Speaker Ryan took an “anti-poverty tour,” released a white paper, and hosted a summit on poverty for the GOP presidential candidates along with Sen. Tim Scott (R-SC) earlier this year. Most recently, Ryan announced the formation of a task force on poverty made up entirely of members of the House Republican caucus. Bipartisan interest in tackling poverty would certainly be a welcome development. Unfortunately, House majority leaders have not matched their new rhetoric with updated policies. The fiscal year 2017 House budget—which, once again, is a recipe for exacerbating poverty and inequality in America—provides a stark reminder of their priorities. While Speaker Ryan talks about his commitment to cut poverty, the House budget generates three-fifths of its spending cuts from programs that help low- and moderate-income Americans. If enacted, it would slash investments in nutrition assistance, tax credits for working families, child care, job training, education, health care, transportation, infrastructure, and more—all to pay for tax cuts for the wealthy. And the policies Speaker Ryan has proposed under the guise of an anti-poverty plan amount to little more than slashing effective aid programs and converting them into a flat-funded block grant. One need look no further than the Temporary Assistance for Needy Families, or TANF, program for a preview of how that movie ends—a sharp decline in the number of families who will get help when they need it most. TANF helps just one in four poor families with children today, compared with more than 8 in 10 poor families in 1996. 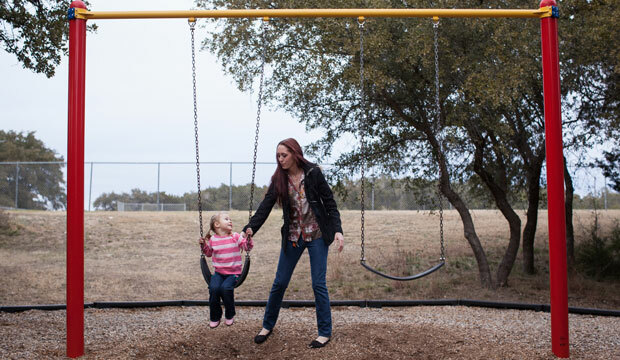 And the program has proven woefully unresponsive to economic downturns; as the number of Americans in need of assistance skyrocketed during the Great Recession, the number of families that TANF helped barely budged and even declined in some states. If House leaders are serious about cutting poverty and expanding opportunity for American families, they will reject their failed policies of the past and embrace the following priorities. Progressives and conservatives alike agree that the surest pathway out of poverty and into the middle class is a good job. Unfortunately, House leaders continue to oppose investments that would spur job creation and create on-ramps to good jobs. If they mean what they say about expanding opportunity, House leaders will support critical, job-creating investments in infrastructure, education, and research and development. Additionally, they will embrace pathways to good jobs—such as apprenticeships, national service programs, and subsidized employment—to help disadvantaged workers and opportunity youth gain a foothold in the labor market. Amid decades of flat and declining wages and rising costs, families across the United States are working harder than ever yet struggling to make ends meet—let alone get ahead. This takes a toll on the entire national economy, which suffers when families cannot afford to spend. If House leaders are serious about boosting wages—Speaker Ryan claimed to want to “push wages up”—it is long past time they embraced raising the minimum wage. The federal minimum wage—which today sits at an anemic $7.25 per hour—is a poverty wage. In the late 1960s, the minimum wage was enough to protect a family of three from poverty. Today, a parent with two children working full time at the minimum wage can still fall thousands of dollars below the nation’s meager federal poverty line, and many minimum-wage workers must turn to public assistance—such as Medicaid and nutrition assistance—to meet basic needs. Raising the federal minimum wage to $12 per hour would lift more than 4.5 million Americans out of poverty, and nearly one in five children would see their parents get a raise. It would also yield substantial savings in public assistance programs, such as the Supplemental Nutrition Assistance Program, or SNAP. Raising the minimum wage to $12 would save $53 billion in SNAP over the course of 10 years. Without critical programs such as Social Security, nutrition assistance, affordable housing, and tax credits for working families, the nation’s poverty rate would be nearly twice as high. Using a measure of poverty that takes income from assistance programs into account, the U.S. poverty rate dropped nearly 40 percent from 1967 to 2012. Without these programs, roughly 40 million more Americans would be living in poverty today; SNAP alone protected nearly 5 million Americans from poverty in 2014. And without the Earned Income Tax Credit and the Child Tax Credit, 10 million more Americans—including 5 million children—would have been poor. Income assistance programs not only lessen poverty and hardship in the short term, they also boost mobility. For example, research shows that programs such as SNAP, affordable housing, and tax credits for working families not only boost family incomes but also translate into improved health, education, and employment outcomes when children reach adulthood. If congressional leaders are serious about cutting poverty and expanding opportunity, they will protect and strengthen vital anti-poverty programs. For example, they should support reforming outdated and counterproductive savings and ownership penalties in aid programs, which can keep families from saving and getting ahead. Additionally, they should embrace the Child Tax Credit to invest in kids during their early years of life when family income matters the most. While nearly two-thirds of families with children now have a female breadwinner, the nation’s workforce policies have not kept up, making it difficult for women to balance work with family and remain in the labor market. Closing the gender pay gap alone would cut poverty for working women and their families in half. A serious anti-poverty agenda must include policies such as pay equity, paid family and medical leave, and paid sick days to ensure that working parents are not forced to choose between work and caregiving. Such policies not only boost women’s earnings and employment, they also reduce the need to turn to the safety net in the first place. Education is the strongest determinant of earnings in adulthood, but much of the eventual educational disparities can be predicted before a child even reaches kindergarten. If House leaders mean what they say about reducing poverty and expanding opportunity, they will support investments in high-quality, affordable child care; pre-K for all through a partnership with the states; and evidence-based home visiting programs. House leaders should also embrace boosting access to higher education through College for All, as well as a Public College Quality Compact. Finally, they should ensure that children’s ZIP codes do not determine their life chances by advancing place-based solutions that both invest in high-poverty neighborhoods and enable families to move into high-opportunity neighborhoods. Half of all Americans will face at least one year of poverty or teeter on the brink of poverty during their working years, and four in five Americans will experience at least one year of significant economic hardship. Thus, the draconian cuts that Speaker Ryan and his colleagues are proposing would not only compromise the life chances of today’s children—they would affect the vast majority of Americans at some point during their lives. Perhaps that is why policies that raise wages, support families, and expand opportunity—such as raising the minimum wage, enacting paid family leave, and investing in child care and early education—are so wildly popular with Americans across the political spectrum. If past is prologue, the public should be skeptical about House leaders’ commitment to cutting poverty and inequality. The true test of their sincerity will be not only what their proposals include, but also what they omit. Rebecca Vallas is the Managing Director for the Poverty to Prosperity Program at the Center for American Progress. Melissa Boteach is the Vice President of the Poverty to Prosperity Program at the Center.